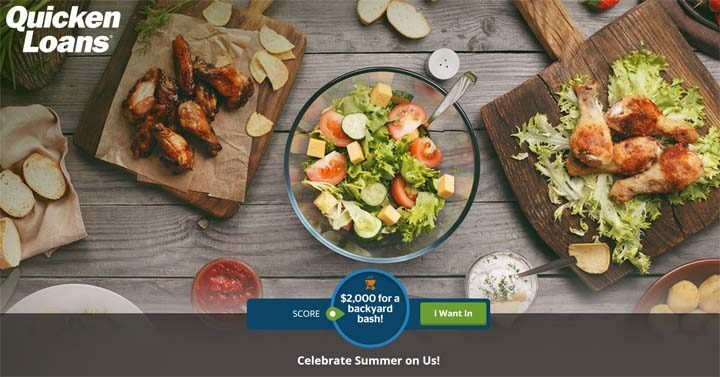 The Quicken Loans Summertime Backyard Bash Promotion is open only to legal residents of the fifty (50) United States and the District of Columbia who are at least eighteen (18) years old. 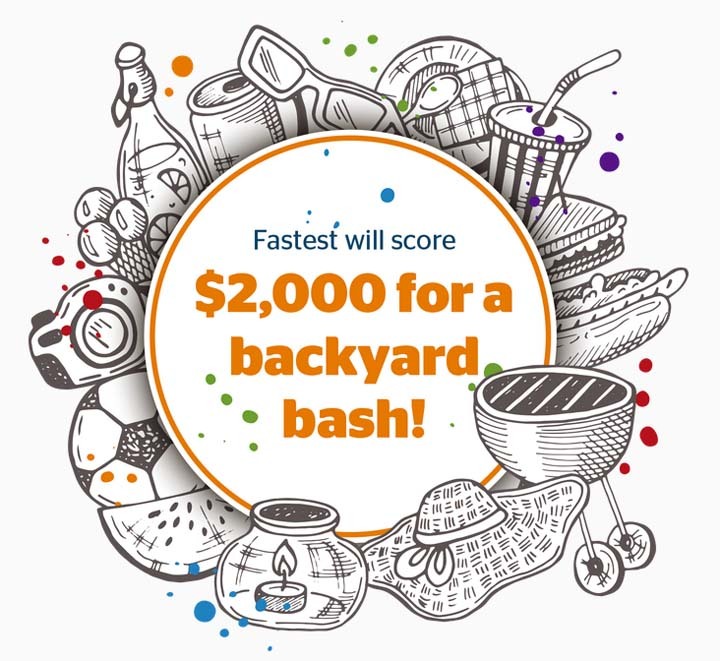 The Quicken Loans Summertime Backyard Bash Promotion ends on June 26 at 1:00:00 p.m. ET. First, register at Quikly.com/quicken-loans and complete the entry form. Limit one (1) registration and/or entry per person/email address/phone number. (1) Grand Prize: $2,000.00 check. Approximate Retail Value (ARV): $2,000.00. (25) Runner-Up Prizes: twenty-five (25) (1) $100.00 checks. ARV of each Winner: $100.00. TOTAL ARV FOR ALL PRIZES AWARDED: $4,500.00.